Home CDN , children , crafts , December , feature , holiday , holidays , homeschool , papercrafts , printables , US , worldwide December 17th - Freebies! -- Unraveling 25 years of Simpsons facts and fun and presenting them in a never-before-seen chronological format. 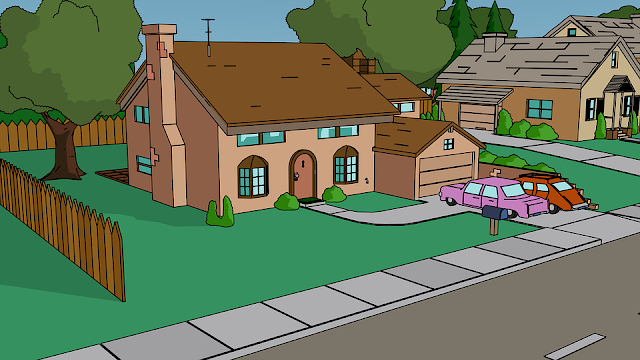 Travel through time with Matt Groening as he pulls back the curtain and reveals the events which turned this average family into a pop-culture phenomenon. Discover the hopes and dreams of a young Homer and uncover the sensitive and driven girl Marge was before she married him. Marvel at the hidden moments you never knew you missed, as all the pieces of Simpsons history fall into place. Chock full of art taken directly from the source, this massive tome is a must for Simpsons fans and the perfect way to celebrate The Simpsons' 25th anniversary. • The Simpsons Season 6 -- Before Westworld the TV show (but after Westworld the movie) there was Itchy and Scratchy Land. It's in The Simpsons Season 6, along with #metoo precursor Homer Badman, and Who Shot Mr. Burns? - Honoring and enjoying the sweet flavor of maple syrup, a wonderful American treat. A good day to learn a new recipe using maple syrup and share it with your friends and family. Learn about how maple syrup is made from the sap of trees. - The feast the Romans commemorated the dedication of the temple of the god Saturn, which was on December 17th. Over the years, it expanded to a whole week, to December 23td. Saturnalia became one of the most popular Roman festivals. It was marked by tomfoolery and reversal of social roles, in which slaves and masters ostensibly switched places. - Commemorating the first successful flights in a heavier than air mechanically propelled airplane, made by Orville and Wilbur Wright on December 17, 1903, near Kitty Hawk, North Carolina. - Soft-spoken and matter-of-fact Little Bird is Big Bird's good friend on Sesame Street. He first appeared on December 17, 1969, in Episode 0028. Wiser than Big Bird, Little Bird is very good at explaining concepts like imagination and next to.